Au Monde, by Philippe Boesmans, received the award for Best World Premiere at the International Opera Awards gala. The award is presented in recognition of a brand new opera. As the semi-official Oscars of the opera, the Opera Awards reward the best and most innovative experiences on the world opera stage over the past year. A closed apartment, with a garden view, some family members struggling to get on. Philippe Boesmans' new opera asks more questions than it answers. Music is the perfect medium to get to grips with the underlying emotions, and Boesmans is the perfect man to put unexpressed feelings to music. Au Monde is the opera adaptation of a text written by Joël Pommerat, who also helped in directing the opera. Philippe Boesmans is always welcome at La Monnaie theatre. 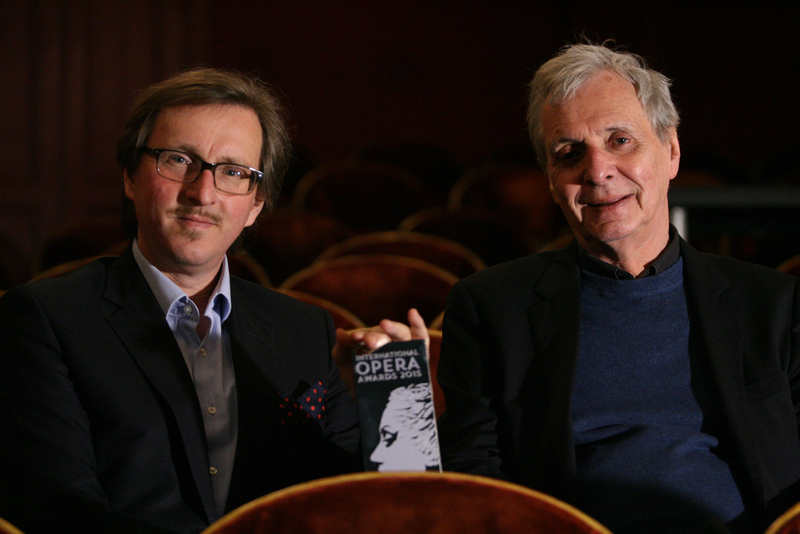 Ever since his opera ‘La Passion de Gilles’ of 1983 he has been a regular supplier of operas to La Monnaie. This makes him one of today's most proficient opera composers and he has picked up his skills along the way. Boesmans is not the theorist who fits his music to dramatic situations, but rather a composer with an enormous sense for atmosphere in a situation. Some quick, some amusing, Boesmans has a knack of creating wonderful acoustic décors portraying the psychology of his characters beautifully. The Brussels opera house was nominated in a total of five categories, including Best international opera house, Best opera DVD (with Lulu by Alban Berg) and Best Richard Strauss anniversary production (with Daphne). The Flemish Opera also had two nominations, for Best choir and - for the second time running - for Best international opera house, but went home empty handed. Last year we were among the lucky ones and won Best Wagner production with Parsifal. Anyhow, it's quite amazing that two Belgian opera houses should be among the six best opera houses in the world. "We're delighted to have been nominated twice in a row in such important categories", said Aviel Cahn, intendant at the Flemish Opera.